Willow definitely takes after her mom! 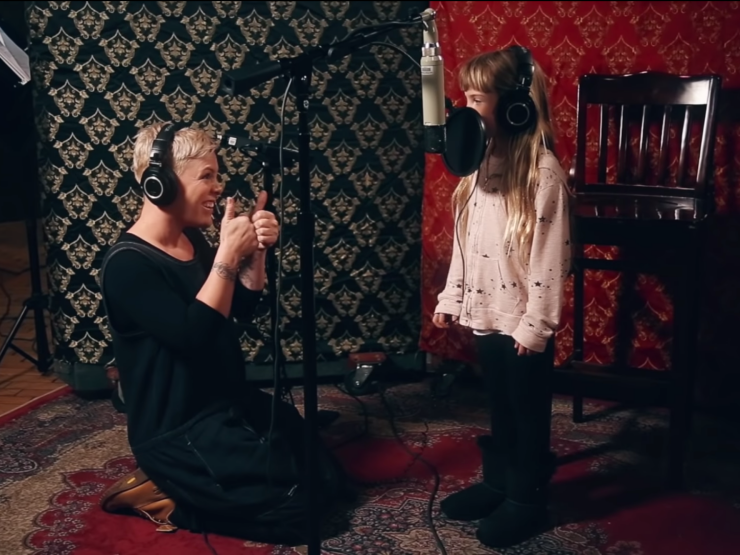 Hearts were set aflutter when Atlantic Records released a video of American singer, P!nk, singing a duet with her adorable 7-year-old daughter, Willow. This comes after Altantic Records' announced that they will be releasing "The Greatest Showman — Reimagined," an all-star that will feature new versions of songs originally found on the movie's chart-topping soundtrack. In this clip, P!nk belts out a line from of "A Million Dreams" from the musical film "The Greatest Showman." But viewers will be as equally impressed at her daughter's vocal chops. Another star on the rise? Let us know what you think in the comments! A Filipina born and raised in Saudi Arabia, Alyssa always has a story to tell. She is a writer by day, singer on occasion, ballerina by heart, and forever a musical theatre enthusiast. When she's not immersing herself in her Spotify playlists, you'll find her training to be a triathlete or being a full-time cool tita to her 9 nephews and nieces. LISTEN: No Rome releases new single "Cashmoney"
WATCH: Hundreds gather around Notre Dame Cathedral to sing "Ave Maria"
WATCH: The POPSSSS Squad joins Lavaado for "Switch It Up"
Hundreds gather at Notre Dame Cathedral singing "Ave Maria"
Up Dharma Down no more?